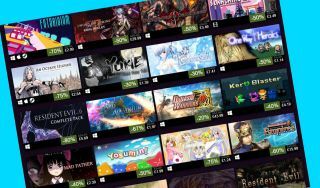 With the Toyko Game Show currently underway, it's a good time glance at Steam's sale and check out some of the offers from the show's participating publishers and developers. There aren't tons of offers, but some of the higher-profile deals are well worth looking at. Final Fantasy 15, a lads' road trip pretending to be an RPG, is half price at $25/£17.50, and the deeply upsetting (in a good way) Nier: Automata also has 50% off, priced at $30/£20. If you're looking for something more brutal, the Nioh Complete Edition is 40% off, bringing the price down to $30/£24. Head over to the TGS Steam page to check them out. Keep in mind, though, that the sale ends on Monday.